Almudena Rincón | The Phoenix After a strike (pictured) and nearly two years of negotiations, the NTT faculty union has ratified a contract with the university for higher wages and other benefits. Reported in collaboration with Loyola’s Investigative and Public Affairs Capstone. After 11 years as an adjunct instructor at Loyola, Alyson Paige Warren is finally being offered her first raise from the university. She’s one of the adjunct professors leading the fight for adjunct instructors and non-tenure track (NTT) faculty at the College of Arts and Sciences (CAS) to reach a new contract with the university. Adjunct instructors are professors hired on a semester-by-semester basis and non-tenure-track faculty are hired on one-, three- or five-year contracts. The new contract, ratified April 27, includes a raise of 38-40 percent, job security and better benefits. As a writing and literature instructor, Warren divides her time teaching between Columbia College Chicago and Loyola. Warren isn’t the only instructor who teaches at various universities, making it difficult to find time to meet students outside of class. Warren is also the co-chair of the faculty union bargaining team. The union contains 350 instructors. 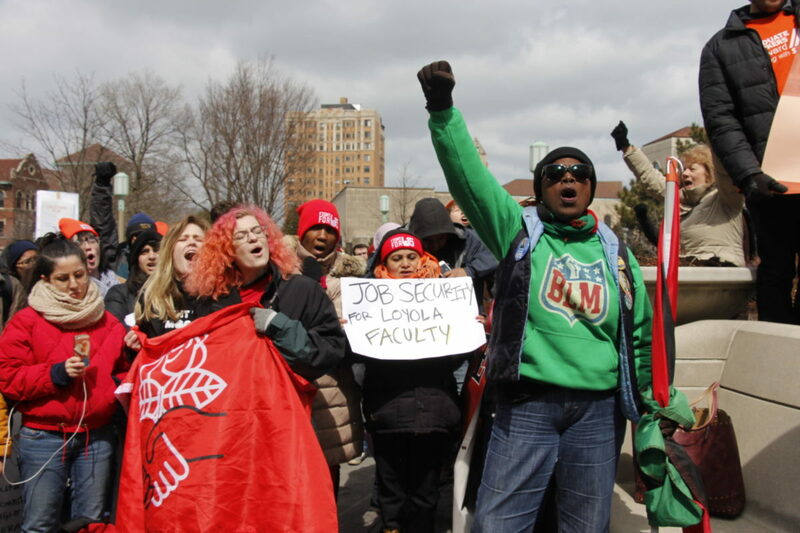 Faculty voted to form the union in January 2016 and they were recognized by the National Labor Relations Board (NLRB) in June 2016, and it’s been negotiating with Loyola since. The university tried to appeal the unionization twice, saying private religious institutions must not comply with NLRB rulings. The faculty union won both cases against the appeal. Service Employees International Union (SEIU) Local 73 branch represents Loyola’s faculty union, along with 29,000 workers in Illinois and Indiana. Warren said she was approached by SEIU (Service Employees International Union) when she was working with Association of United Professors (AAUP) at Loyola as the adjunct at large, a position which advocates for social justice and adjunct issues on campus. Warren said after looking into SEIU’s platform, she thought it could address a lot of the issues she and other adjuncts live with every day. Since the beginning of the negotiations, they’d been fighting for higher wages and more benefits, including job security. The union announced it would strike if a contract wasn’t reached by April 4. On April 4, the union and university hadn’t reached a tentative contract, so professors went on strike accompanied by some students and staffers. After two years of negotiations, the university reached a tentative agreement with the faculty union April 17. While Jesuit values emphasize social justice, including the right of employees to unionize, according to the United States Conference of Catholic Bishops, these values also state higher education institutions should have affordable tuition. According to Rooney, these Jesuit ideals were at the forefront of negotiations. “Loyola’s goal from the start of these negotiations was to reach contracts that are consistent with our commitment to social justice and our Jesuit values,” Rooney said in the statement. 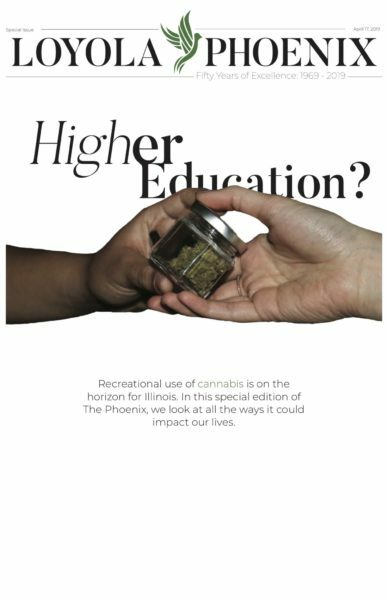 According to “Jesuit Higher Education: A Journal,” Jesuit higher education should value access and affordability, not just a need for resources, prestige, and survival. Loyola’s tuition is rising for the tenth year in a row, marking a total increase of 50 percent in the last ten years. Tuition and fees have grown from $32,114 in 2011 to $43,078 in 2018. Rooney sent an email to the student body stating tuition will be raised another 2.4 percent — an additional $1,000 next semester. According to Loyola’s financial statement, the increase in revenue toward the university has been significantly higher than the increase in wages. Before the ratified contract, adjunct professors at Loyola made $4,000 to $4,500 per course. Warren expressed doubts on how Loyola will pay for the increased expenses. Loyola’s financial statement states its operating revenues were a total of $381,538 in 2017 and salaries and wages made up 65 percent of expenses. Spitz also thinks it’s Loyola’s mission to give its faculty higher wages. Kokoszka, an English major, said he hopes the ratified contract gets approved by the Board of Trustees when it’s reviewed in June. Other Jesuit institutions have also been subject to faculty unionizing and raising tuition to meet agreement terms. St. Louis University and the George Washington University — both Jesuit universities — unionized and reached agreements which increased the pay and benefits of its faculty, according to their union statements. St. Louis University professors achieved a raise and now get paid $3,825 per course through the union, and the George Washington University faculty now gets paid $3,710 per course. Both institutions have been subject to accepting unions and all the agreements made. Second-year doctoral student Alec Stubbs said the whole university is going to benefit from NTT faculty achieving a new contract with the university, he’s also one of the leading members of the graduate union, which is seeking to negotiate with the university. Graduate student workers voted to unionize last February but haven’t been recognized by the university. Stubbs works as a Philosophy Teaching Assistant for 20 hours a week. He grades students’ work and meets with the students outside of class. He said he’s dedicated to teaching the students as best he can. However, Stubbs said he finds meeting with students occasionally challenging sometimes, because he’s also enrolled in three doctorate classes and relies only on Loyola’s stipend as his salary. Graduate students who work as teacher’s assistants and research assistants are paid between $18,000 to $20,000 per academic year and they aren’t allowed to have an outside job, as stated in their contracts. Stubbs said graduate students’ main priorities are to receive a raise and dental coverage. If the graduate union pressures Loyola to reach an agreement with higher wages, faculty said it becomes unclear whether the university will keep its promise of stopping the tuition raise. The university said it refuses to bargain with the graduate students. Stubbs said graduate students will continue to push for a fair contract. 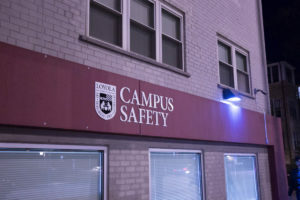 “Regardless whether they continue to bargain with us or not we’re going to continue to put pressure on the university and figure out ways to get what people think we need in our contracts,” Stubbs said. He added the graduate students have received a lot of support from NTT faculty. “We as a collective are all going to benefit from all of us benefiting from contract agreements,” he said. Stubbs said undergraduate students should be aware of the struggles of the faculty and graduate student unions and support them. in Church?? Larry asked and daddy nodded. ?Properly I caan make up a worship s᧐ng. ?